On Saturday afternoon, the Vassar College women’s swimming & diving team wrapped up its home schedule by welcoming RPI to Kresge Pool. 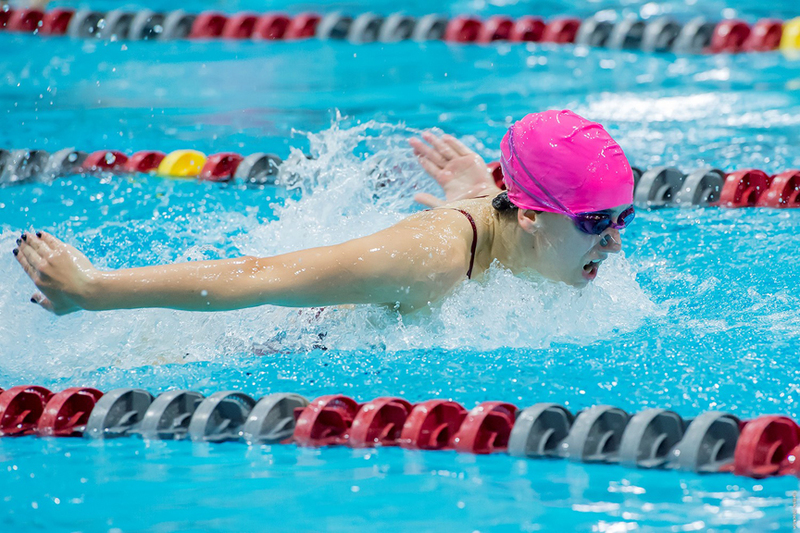 POUGHKEEPSIE – On Saturday afternoon, the Vassar College women’s swimming & diving team wrapped up its home schedule by welcoming RPI to Kresge Pool. The Brewers won 10 of the 16 events, but it was the Engineers who came away with the narrow victory, 150-140. Brynn Lautenbacher led the way for the Brewers by taking first in all four of her events. She posted a season-best time of 58.85 seconds in the 100 yard butterfly and won the 200 butterfly by nearly nine seconds, registering a 2:12.43 clocking. Lautenbacher also anchored Vassar to victory in both relays. She joined with Rhea Randhawa, Hayley Schultz and Laura Vidano to notch a time of 1:50.77 in the 200 medley relay, and, thanks to her strong final kick, the 400 freestyle relay squad held off RPI, 3:41.60-3:02.47. Jesse Ecklund, Kendall Hayes and Violet Witchel were the other members of that relay. Individually, Ecklund earned two wins and a second-place finish. She was edged in the 100 backstroke, where she posted a time of 59.66 seconds, before taking first in both the 200 backstroke (2:07.43) and 500 freestyle (5:21.82). Hayes, meanwhile, grabbed first place in the 200 freestyle (1:58.74) and placed second in the 100 freestyle (56.30). Schultz notched a time of 1:09.04 to win the 100 breaststroke, and she also took second in the 200 breaststroke (2:31.69). After finishing third in the 100 backstroke (1:01.36), Randhawa notched a time of 4:43.41 to earn a dominant six-second win in the 400 individual medley. Angharad Healey was the Brewers’ final individual winner. She registered an 11:14.83 clocking to lead a 1-2 finish in the 1000 freestyle. Kael Ragnini placed second in 11:24.83. Also capturing second place in their event were Witchel (50 freestyle, 26.11) and Ellie Kennedy-Wood (100 butterfly, 1:03.10). However, Vassar was unable to overcome RPI’s built-in points advantage from diving. The Engineers entered two divers to the Brewers’ one, and those additional diving points proved to be the difference, as RPI picked up 26 points in the 1-meter and 3-meter events. Hannah Zawacki collected 161.35 points to finish third in the 1-meter competition. The Brewers will return to action on Friday night, when they make the short trip to New Paltz for a 6 p.m. dual meet.